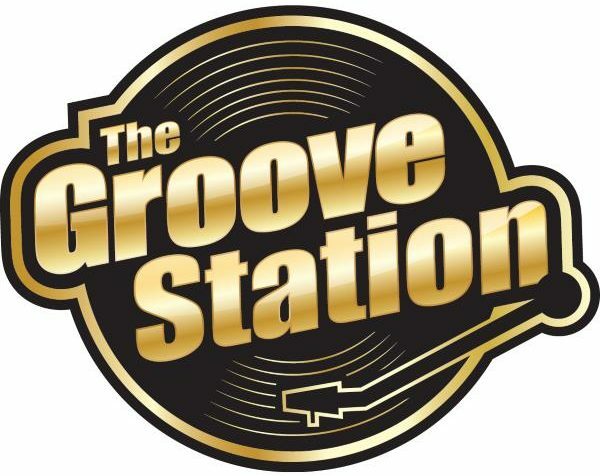 The Groove Station brings a unique blend of blues, rock and soul that will knock you socks off! Lead by powerful vocals, the band provides a meaty groove that will keep your feet moving. Rebecca Janelle – Singer / guitars – Rebecca grew up in a farm town outside of London Ontario. Her parents bought her first guitar for her at age 14 and she she was hooked. By the age of 20, she won first place at the BX 93 Country Roads contest, and soon after began touring with her own band “Rebecca and Kickin’ Horse”, and produced her first album. She joined forces with her partner Rodney, a singer and guitar player with “The Praire Dawgs”, where they amalgamated their bands and together travelled throughout Canada preforming for a few years, playing different styles including Country and Rock. Rebecca has always had country roots, and her musical pursuit broadened to rock-and-blues music by artists such as Susan Tedeschi and Bonnie Raitt. Rebecca has spent over 23+ years entertaining the crowds with her love of music and pours her heart and soul into every note. Ryan Van Acker – Drummer – Ryan started playing drums at an early age taking lessons with London drum instructor Brian McHugh. He played in his first working band when he was 16. Ryan has gone on to play with various blues, rock and country artist such Jonathan Russell, The Joys and Elton Lammie and Genevieve Fisher. Guy Miskelly – Guitar – Guy started playing guitar at an early age and it wasn’t long before he was performing for audiences. During his high school years he played in several bands performing at talent shows and community events. After high school Guy studied music at Mohawk College in Hamilton Ontario, studying jazz with some of Canada’s finest musicians. He performs with many different musical groups playing styles ranging from Country, Rock, Blues and Jazz. As a solo acoustic guitarist Guy is busy adding his musical talents to compliment weddings, special and events throughout southwestern Ontario. Artists that Guy has performed with are Genevieve Fisher, Sarah Smith, Laura Rose, Doug Varty, Tara Oram, Karen Grainger, Jonathan Russell as well as touring throughout North America performing at festivals and theatres with many different Legend shows. Noel Lesperance – Keyboard and Saxophonist. Noel grew up in a very musical family as the last child of 13. His siblings and cousins played guitars, drums, bass and vocals and had Country music band from which he was inspired to follow in their footsteps. He began playing the chord organ the age of 8 and expanded to the piano at the age of 12. Noel learned to play the trap drums in grade 7 for the Midland Lions Steel drum band “A touch of Class” for which he was a member for 6 years. Once in high school Noel learned to play the baritone saxophone from one of Ontario’s well known classical saxophonists Blake Smith while still studying the drums and playing an active role in the high school stage band. While in high school Noel played for a play at Expo 86 in British Columbia and travelled to England with the school band. They played a command performance for the queen in Harogate England. While in high school Noel continued to play saxophone with different groups such as an 8 piece R&B group with three horns called “West Avenue” and keyboards and sax with a top 40 Band called “Passport”. Noel went on to study Tool and Die, design, CNC programming and finally Information Technology at the recommendation of his father. Noel’s mother also was instrumentally supportive of his musical interests. After receiving his Ontario Certificate of Qualification in Tool and Die and Systems Administration, Noel continues to play music as a hobby with different bands on weekends and for special occasions. Noel has opened for Ronny Hawkins and has played with such bands as The Doug Varty Band, Soul Medix, Passport, Wayne Buttery and the Groove Project, Roy Leblanc and the Roy L Tribute Band, The Martels, Doug and Desotos, Wish You Were Here (Pink Floyd Tribute), Joe Passion and many tribute shows like Buddy Holly, Patsy Cline, Roy Orbison, Johnny Cash, The Police, Rod Stewart, Jerry Lee Lewis, Da Blooze Brothers, Brian Adams and tributes with Bill Culp Productions. Noel continues to provide saxophone tracks for artists seeking saxophone on their Albums.